When you are just starting to include exercise in your daily routine, it is easy to make a few mistakes. You may over-exert yourself or have trouble selecting the right types of exercises. These errors may cause injury, burnout, and keep you from reaching your fitness goals. The most common mistake beginners make is pushing themselves too far. They want fast results and may increase the intensity of their workout or workout too frequently. Pushing yourself may also keep you from using the right techniques or proper form. These actions can increase the risk of injury. You may pull a muscle or twist your foot, putting you out of commission for days or weeks. Over-exerting yourself also commonly leads to exercise burnout. This fatigue is why many people give up on their new workout routines after just a week or two. If you want to avoid these issues, you should take the time to choose the right workout. Consider following a workout routine designed for your specific goals and fitness level. Another option is to start working out with a personal trainer. Trainers work with you develop a tailored routine that you can stick with and provide instruction for using proper form. 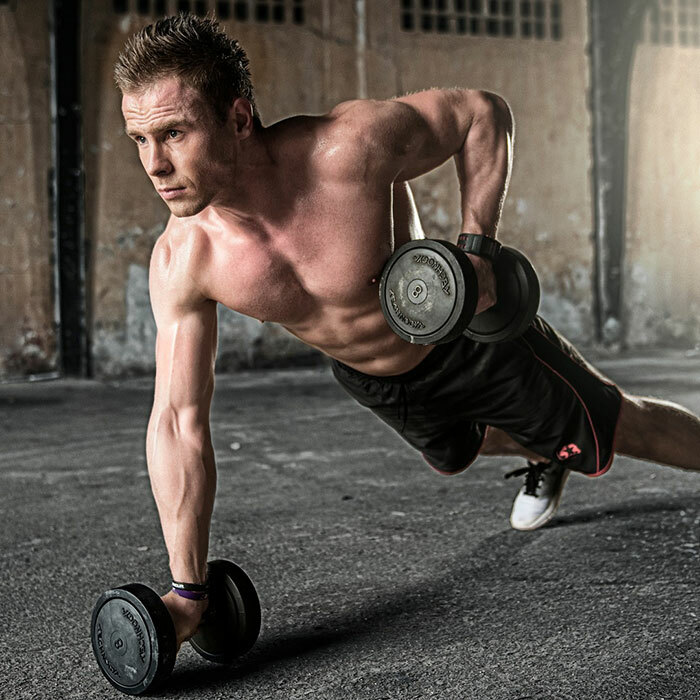 Another common workout mistake is setting unrealistic goals. When you have expectations that are too high, you are more likely to be disappointed with your results. You may become discouraged and stop working out. Many people want results immediately and have an unrealistic idea of what they can achieve. To keep yourself more grounded, you should set small attainable goals. Rather than making a goal of dropping 30 pounds, you may set a smaller goal of 5 pounds. After you lose 5 pounds, you can make a new goal to lose another 5. These incremental goals provide milestones that you are more likely to achieve in the short-term, allowing you to track positive results and stay motivated. Workout routines are necessary to give structure to exercises. Performing a series of random exercises is unlikely to help you reach your goals. You may neglect certain muscle groups or skip your warm up. An effective routine should include a variety of exercises to target specific muscle groups. It may include a combination of flexibility training and strength training, along with cardiovascular exercise. The routine you choose should be fun, challenging, and provide the variety that you need to work your entire body. These tips should help you avoid some of the most common workout mistakes. However, the best way to prevent these errors is to work with a personal trainer. At Be Your Best With PT, we offer bespoke personal training to provide each client with a customised approach to fitness. We understand how confusing fitness can be when you are just starting out. While working out should be challenging, planning your workouts should be easy. Contact us today for a consultation, and discover the advantages of working with a personal trainer.